This is a rectangular Just You and Sapolin porcelain sign. This particular Just You and Sapolin sign is predominantly black and yellow. 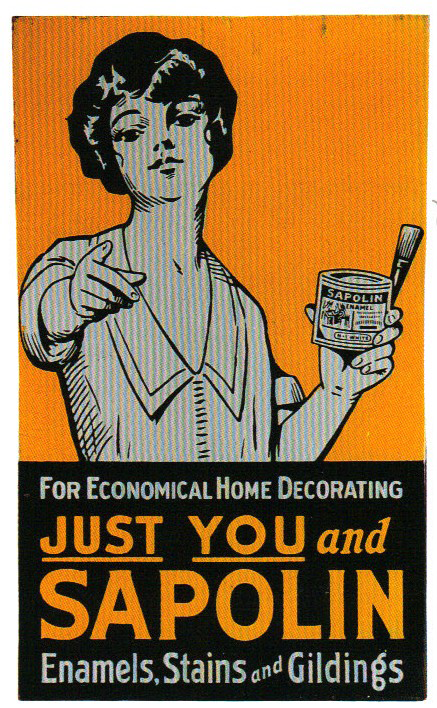 It reads, “For Economical Home Decorating, Just You and Sapolin, Enamels, Stains, and Gildings” and features a black and white woman holding a can of Sapolin and pointing.